Inspired by the legendary World War II motorcycle, the RE/WD 125 Flying Flea, Royal Enfield introduced the Classic 500 Pegasus in May 2018. Back then, the cult motorcycle maker had also announced that the online sale will go live on 10 July. However, on 10 July, Royal Enfield revealed that due to an overwhelming response, the website crashed. The company is yet to ascertain the revised date of sale for India. Mechanically, the Classic 500 Pegasus is the same as the normal variant. However, visually, the motorcycle features a lot of additions to stand out from the stock bike. These include an exclusive colour scheme, brown handlebar grips, Pegasus emblem with stencilled number on the fuel tank, ‘Made Like a Gun’ decal on the battery box, a leather strap with brass buckles across the air filter. There are quite a few blacked-out bits too including the silencer, rims, kickstart lever, pedals and headlight bezel. 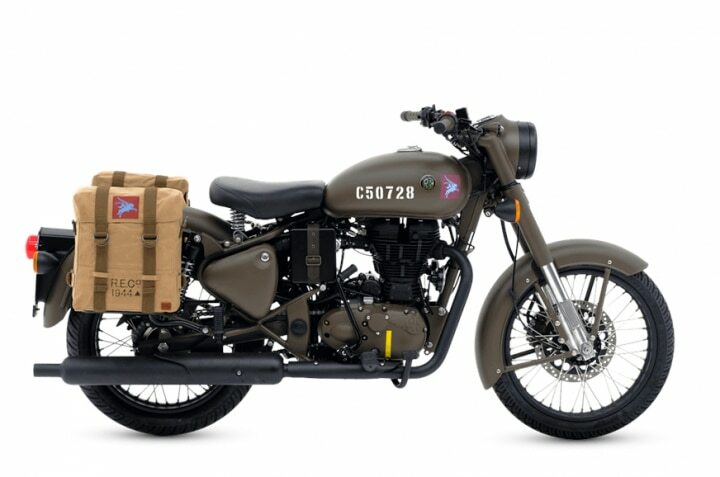 The single-seater motorcycle also gets bespoke military-style canvas panniers on both sides to complete the vintage look. The production of the Royal Enfield Classic 500 Pegasus is limited to 1,000 units worldwide, of which 250 units are allocated for India. In the home market, the motorcycle was officially launched on 30 May, this year. The bikemaker has priced the Classic 500 Pegasus at Rs 2.4 lakh (on-road Delhi). Power comes from a 499cc single-cylinder fuel injected motor that’s good for 28PS of power at 5250rpm and 41.2Nm of torque at 4000rpm. 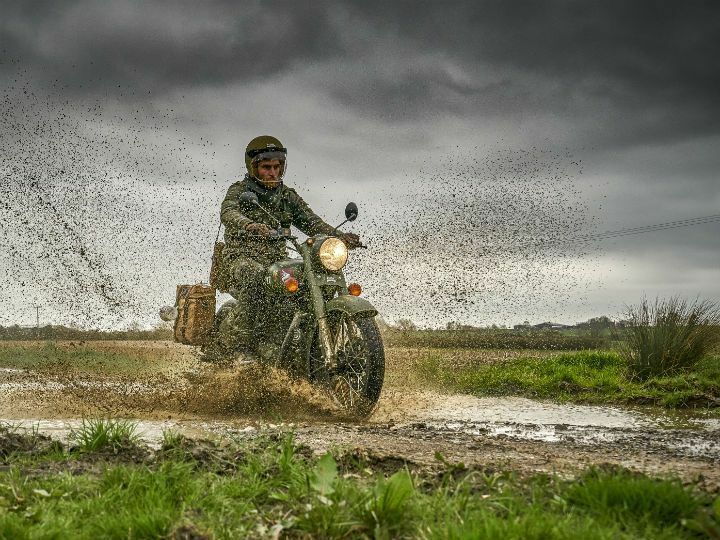 Royal Enfield offers the bike in Service Brown and Olive Drab Green colours globally, but India gets only the former. This is because the Olive Drab Green colour is similar to that used by the Indian Army and the law in the country doesn’t permit its use on civilian vehicles.